Thanks for posting that, was trying to figure that out last week but I'm still a bit timid with changing settings. Trick, print 20x20 cubes when changing up. If you are dialed in already that is quicker than that benchy. Infill can change, but sturdy walls and top and bottom are critical for strength as noted . 3 hours in and this bumper looks amazing so far! 60% infill and a 4 layer shell to start. Can't wait to mount this! PETG is printing better for me than PLA, but I really haven't played much with the settings. 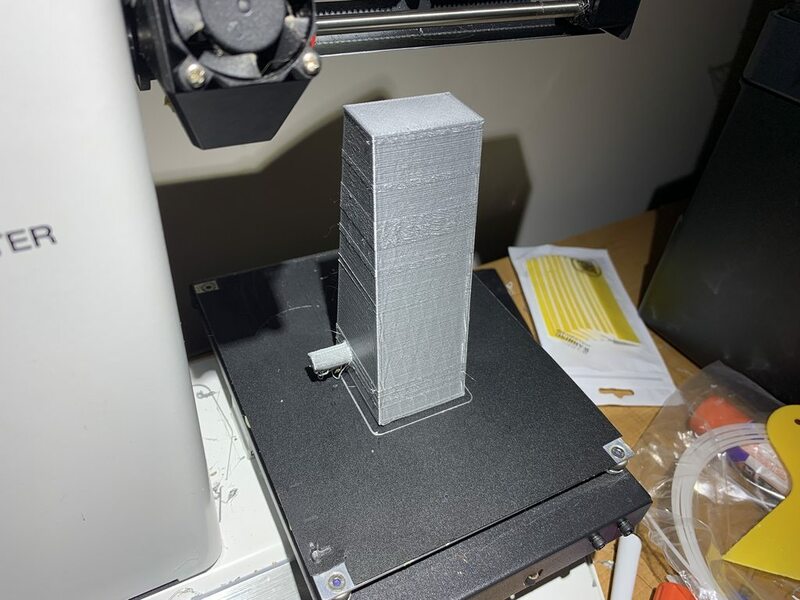 This is with the Monoprice Voxel, which is a rebranded Flashforge Adventurer 3. My previous 3d printer was not enclosed and my results were never consistent. Bed adhesion with this printer has been a non-issue. Does anyone have a file for a link lift bracket they could share? One thing I haven't gotten into is bridging large gaps without supports. This new design is 112mm high x 39mm wide (not including standoffs) x 39mm deep. It kinda printed OK the first time. See the "Old design/print" photo below. The standoffs were kinda frayed, but still, surprisingly, usable. Filament is Hatchbox PETG. Any tips to printing this more reliably without supports? Last edited by JatoTheRipper; 04-10-2019 at 03:40 PM. Is there a reason that you aren't laying the 112mm section down flat? It's hard to tell, but the build plate looks big enough. 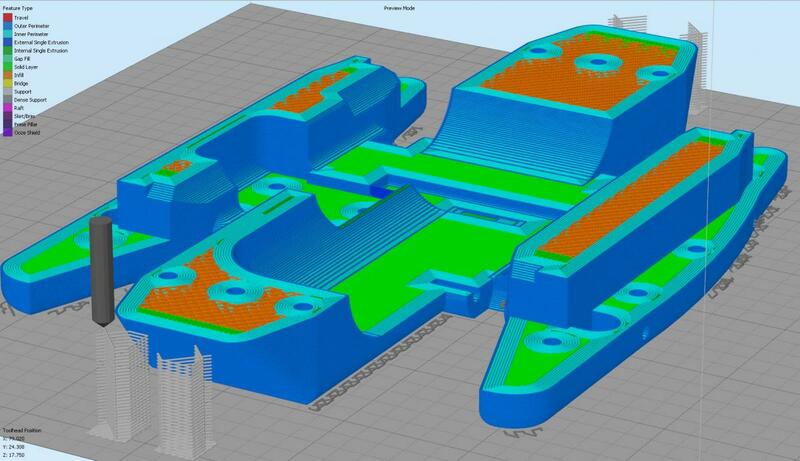 I've had decent luck bridging fairly large gaps but I think its mostly due to the Slic3r PE software. When it detects bridging it will allow for a fairly large bridge without supports. 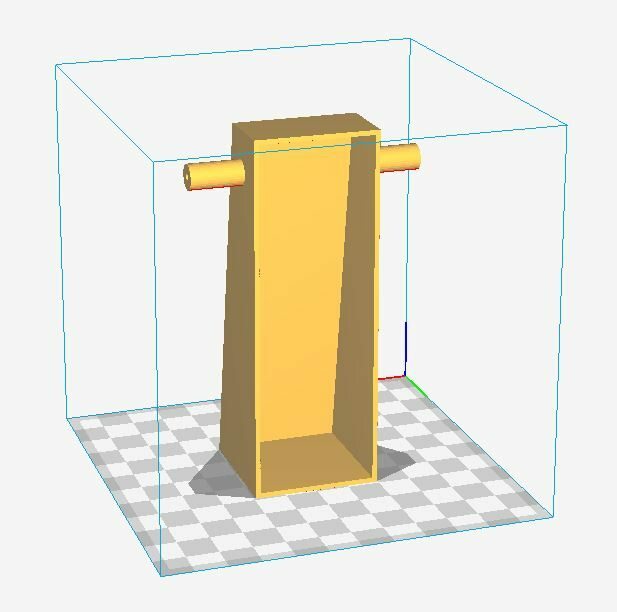 If you do end up needing to use supports you can change the supports angle to 45, I've found that helpful so your print isnt layed down in the same direction as the support which can leave the print unsupported between the support rows. Was wondering this, too. Will it fit? Last edited by JeepinCA; 04-10-2019 at 10:29 PM. Maybe doing this way to have the sides. assuming it's purpose is box like. will be strong. Printing on it's bottom would make weaker. The model is slightly larger than the build plate which forces me to print in this orientation. I'm using Cura. I've tried Slic3r and found it to be less than intuitive, but that was a while ago. Lots of people boast about Simplify 3D being the best, especially for supports, but it's $149! can you print it at a 45° angle on the x axis and apply supports manually to the standoffs and bottom few mm of the build for stability. or rotate it 45° on the z axes and 90° on the x axes so it lays corner to corner, might fit. You guys are awesome! Thanks for the tips!! 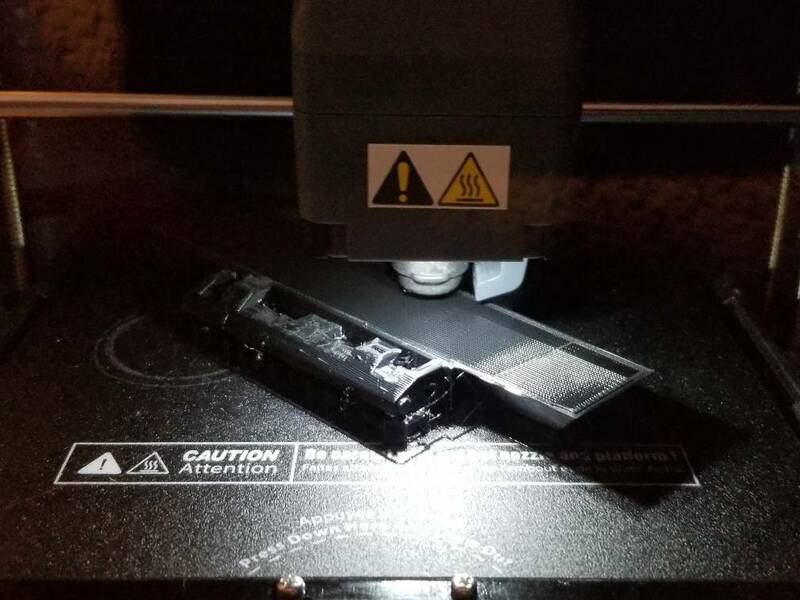 The bumper I'm trying to print now is for my SCX10, which is a crazy light rig compared to my TRX-4. I may not have to make it bullet proof, but I'll be experimenting for sure! I know its older post but if i want to add moar strength on larger prints I usualy bump up the number of outer layers more instead of adding more infill. I print all my structural parts out of petg as well, my 3d printed 32 ford chassis was printed with 30% infill but 9 top layers and 9 bottom layers this made the bottom essentially 100% infill, but all the taller structures still had 30% infill, and the perimiter layers was set to 8, this made the upper link mounts basicaly 100% infill. Its not the fat parts that break its the smaller details that don't hold up in most prints. so you only need to make the walls fat enough to fill in those smaller areas. Last edited by Voodoobrew; Today at 01:07 AM. I went with the Prusa I3 MK3 and I've been extremely pleased with it. Its really dialed in if you just want to get started quick and avoid having to troubleshoot. I feel like the extra cost is worth it for the support from the company, being able to cope with power outages, running out of filament, bump detection, it also can detect skipped steps and layer shifting. I didn't realize it had all those features. How does it cope with power outages? Can it reliably pause and resume print without issues? If you already have a printer you like and like to mess with things you can buy a new mother board for your 3d printer that adds all those features in. Personally I want to buy myself a wifi duet main board to all that and dual extruders to my Anet A8. I wan to try printing petg with 0 layer gap pla supports. There is a youtube video of a guy who printed a perfect sphere using this technique.